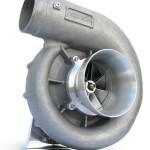 Even more serious, the V-28 123 supercharger is designed to provide up to 45 PSI in extreme drag racing applications. Recommended to racers who are building for 6-second ET’s in Super Street and Outlaw racing classes. This supercharger recently powered a 6.719 @ 212.66 MPH pass by Chris Alston in PSCA Outlaw 10.5. 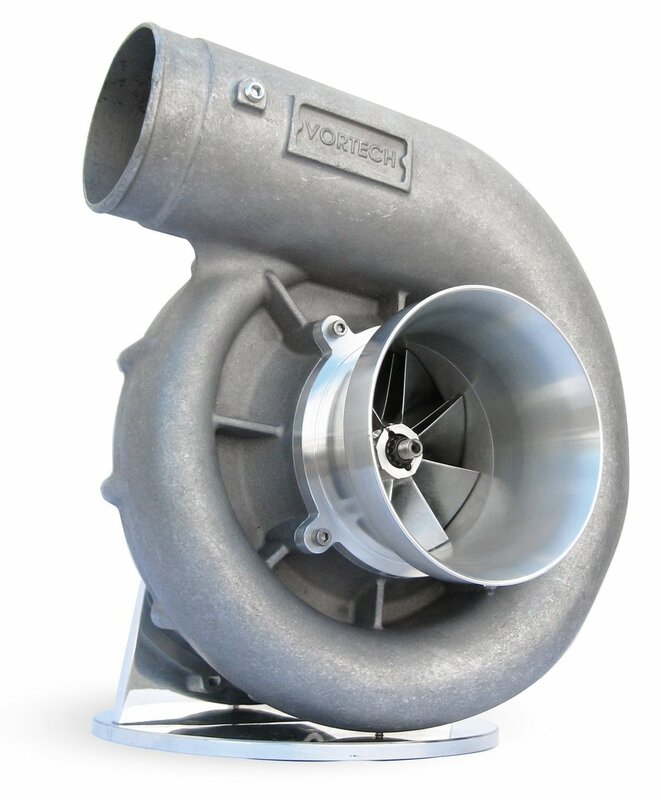 Its peak efficiency of 83% surpasses all other competing superchargers, allowing for higher boost at cooler discharge temperatures. 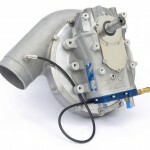 Racers who switch from a competing supercharger to the 123 will be capable of lower ET’s and faster top speeds due to its higher efficiency, lower discharge temperatures, and greater power potential. 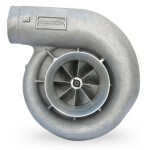 With Vortech, you won’t need a truck full of spare superchargers to follow you around the country in order to compete. 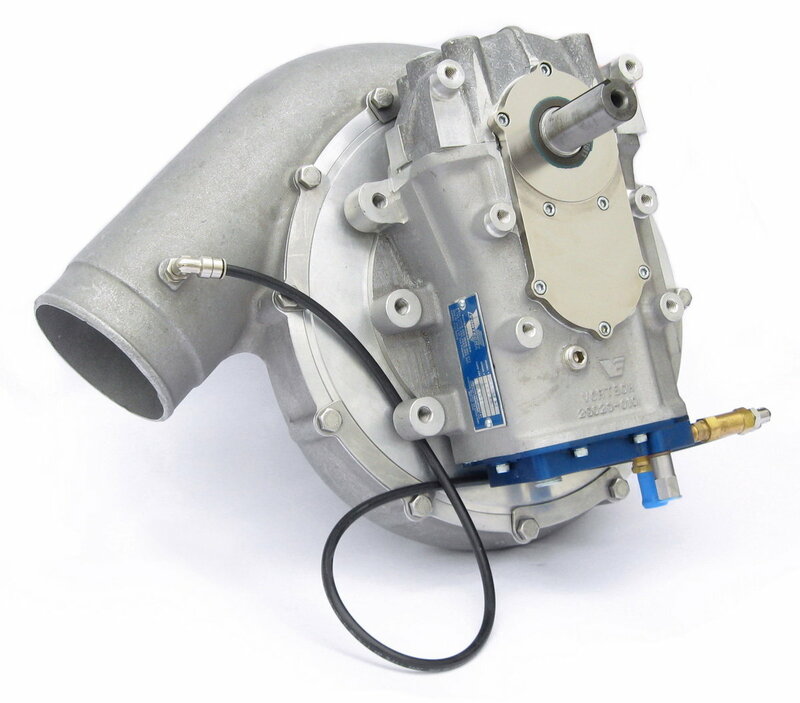 The extreme durability of the V-28 supercharger design allows a single head unit to be used for multiple quarter-mile passes before being replaced, under the same conditions that cause competing superchargers to wear down and need replacement after one or two passes.